The Perfect Glatt Kosher Pesach 5778 Program in Europe! 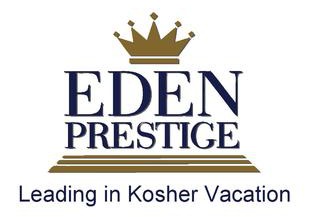 Eden Prestige is proud to present Passover 2018 Program in Salou (Costa Dorada – Spain ).Within few years, the company eamed a glowing reputation and became a leading name in organizing Pesach and other holiday vacations. Exclusively featured by Eden Prestige during Passover 2018, our engaging and exciting activities will delight you from the moment you arrive at Salou. Some of our distinctive program highlights include inspiring scholars, superlative day camp and teen programs, and nightly Chol Hamoed entertainment. Kashrut : The entire resort is « Glatt Kosher LeMehadrin » No kitniot,No Gebrocht Shmura Matza. 10 nights, 13 Nissan-23 Nissan, March 28 to April 8 ,2018. The hotel is reserved for our group only . Salou is a popular family seaside resort in Spain that is situated 63 Miles South West of Barcelona. Salou in the province of Tarragona on the Costa Daurada, in Catalonia. Salou is a fabulous destination for anyone searching sun, sea and sand. Salou is a popular destination for families and is readily accessible via Barcelona International Airport . You also have the famous Port Aventura theme park a short drive away and if you fancy a little more water adventure you have the PortAventura Aquatic park. Salou is the tourist capital of the Costa Dorada, due to its many tourist facilities and its beautiful beaches; it is a popular holiday destination due to its Mediterranean climate. Aside from its string of beaches interrupted by rocky coves, and its landscaped promenade. A Wonderful Pesach 2018 in Spain !